A partnership between Arts Alliance Tulsa and Realtors to advance our community's quality of life. It is well known that the arts play a significant role in the quality of life of the greater Tulsa area. This quality of life helps to maintain property values and is a selling point to homebuyers relocating to the Tulsa area. For this reason, a partnership between the arts and the real estate community is a natural one. Enter our Flagship partner, Chinowth & Cohen! 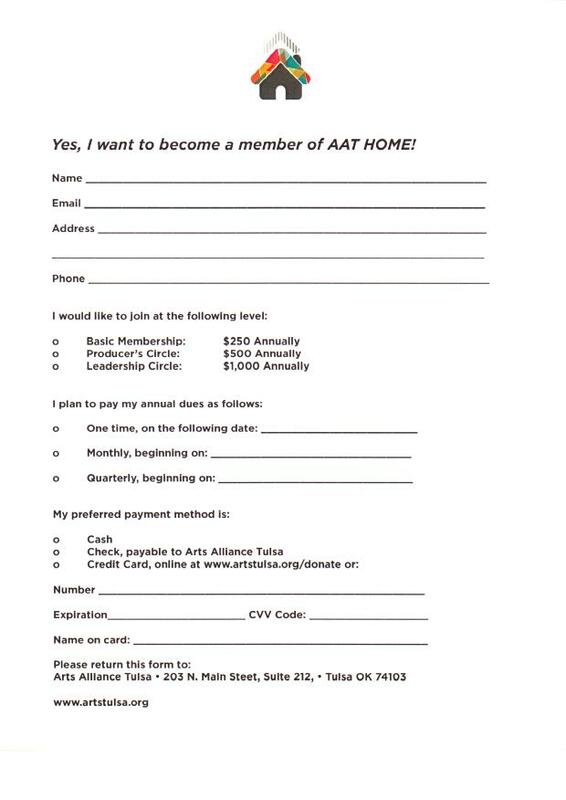 In addition to Chinowth & Cohen’s corporate sponsorship of Arts Alliance Tulsa (AAT), their REALTOR-ASSOCIATES® will have the opportunity to purchase a membership in AAT HOME. Membership levels come with benefits that are tiered, starting at $250 annually. Benefits include exclusive behind-the-scenes events at Tulsa’s museums & performing arts organizations as well as marketing & networking opportunities for agents. In 2018, memberships will also become available to REALTOR-ASSOCIATES from other real estate brokerages in the greater Tulsa area.